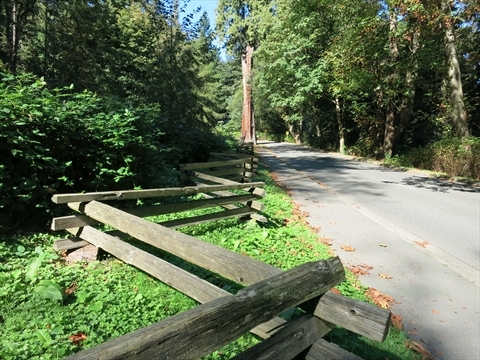 Stanley Park Drive is the main road in Stanley Park. It is one way, counter-clockwise, and goes completely around the perimeter, where possible, of Stanley Park. You can see many areas of Stanley Park and a bunch of monuments, statues, and other points of interest so it is worth a drive around as a tour! If you drive on Stanley Park Drive around Stanley Park, some of the things that you will see are the Queen Victoria Memorial, Vancouver Rowing Club, Royal Vancouver Yacht Club, Stanley Park Information Booth, Totem Poles(partially), Harry Jerome Statue, Hallelujah Point, Brockton Point Lighthouse, Chehalis Cross Memorial, Lumbermens' Arch, Prospect Point, and the Hollow Tree.